Sacred Heart Academy, founded by the Apostles of the Sacred Heart of Jesus in the Roman Catholic tradition and committed to the expression of strong Christian values and intellectual growth, provides a challenging college preparatory education for young women. The school is a community which promotes the growth of the whole person in a caring environment that encourages personal integrity, compassion, justice and sense of responsibility to self, to others and to the needs of society. Sacred Heart Academy will be a nationally recognized Catholic college preparatory school for young women. 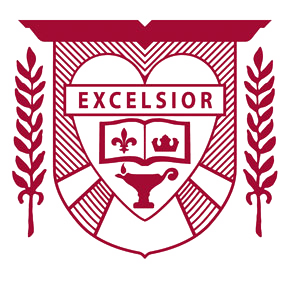 True to its motto Excelsior SHA will welcome students of diverse backgrounds, develop their potential through a technology enriched academically rigorous program of studies, and lead them to discover their unique talents. Through a culture of service, Sacred Heart Academy will foster an awareness of the changing needs and challenges of the world. By embracing the call of the Gospel, the Sacred Heart Academy woman will become who God created her to be, ready to transform the world. the laurel for victory and success "through Him, with Him, and in Him"